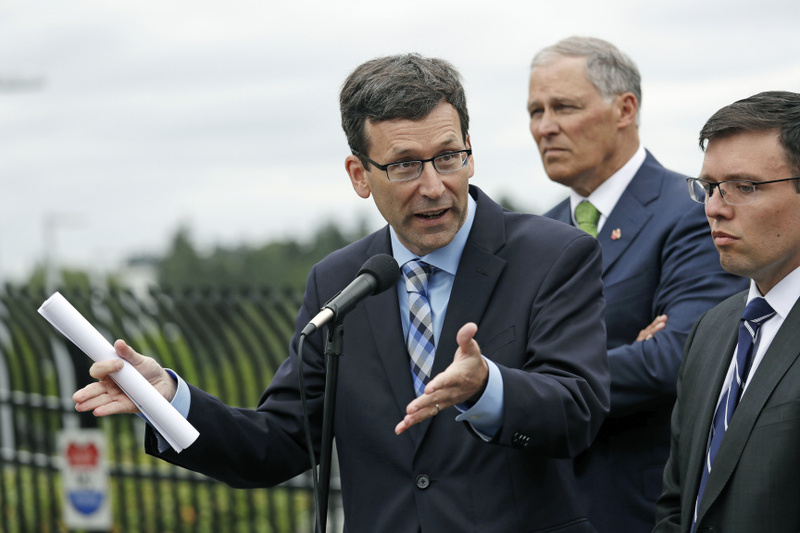 SEATTLE (AP) — Seventeen states, including Washington, New York and California, sued President Donald Trump's administration Tuesday in an effort to force officials to reunite migrant families who have been separated at the U.S.-Mexico border. Late Tuesday, a federal judge in California issued a ruling on a separate but similar lawsuit. U.S. District Judge Dana Sabraw in San Diego ordered border authorities to reunite children with their families within 30 days of the Tuesday ruling, or 14 days if the child is younger than 5. Sabraw also issued a nationwide injunction on future family separations. It wasn't immediately clear how the federal ruling would impact the states' lawsuit, which was filed in federal court in Seattle. The states, all led by Democratic attorneys general, joined Washington, D.C. in the first legal challenge by states over the Trump administration's recent policy of splitting children from migrant families who may have crossed the border illegally. "The administration's practice of separating families is cruel, plain and simple," New Jersey Attorney General Gurbir Grewal said in an emailed statement. "Every day, it seems like the administration is issuing new, contradictory policies and relying on new, contradictory justifications. But we can't forget: the lives of real people hang in the balance." Immigration authorities have separated about 2,300 children from their parents in recent weeks, sparking global outrage as images and recordings of weeping children emerged. Many parents are in custody thousands of miles from their children, whom they have not been able to see and have rarely spoken to for a month or more. After falsely blaming Democrats for the separations and insisting that only Congress could fix the issue, the president last week issued an executive order designed to end the practice under his "zero tolerance" policy, which prosecutes adults who come to the U.S. illegally. But the states say his order is riddled with caveats and fails to reunite parents and children who have already been torn apart. They accuse the administration of denying the parents and children due process; denying the immigrants, many of whom are fleeing gang violence in Central America, their right to seek asylum; and being arbitrary in applying the policy. A Seattle-based immigrant rights group sued Monday on behalf of detained asylum-seekers in Washington state who have been separated from their children.